Mahmood Masoomi was arrested along with three others civil rights activists by Iran’s security officials on May 12, 2016. He is kept in the jail for unrealistic reasons since the arrest. Mahmoud Masoumi, Shima Babai, Elham Rasoolibaghi and Freydoon Ahmadpoor was reportedly detained during a peaceful protest to support the Iranian researcher on alternative medicine Mohammad-Ali Taheri. The 14 detainees were brutally beaten by officials in a raid to the protest, rights groups said. 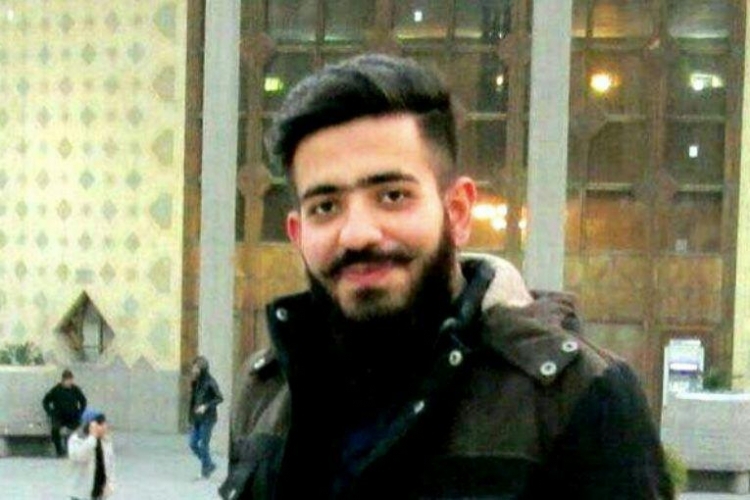 Mahmoud was taken to Fashafooyeh prison for alleged conflict with officials and then transferred to the infamous Evin prison. He was accused of the vague charges at Branch three of the infamous Shahid Moghadasi Court of Evin. Finally, he was released on the bail 65,000$ (2 billion Rials) on June 12, 2016. «محمود معصومی» به همراه سه تن دیگر از فعالان مدنی روز پنج‌شنبه ۲۳ اردیبهشت‌ماه، در جریان تجمع هواداران عرفان حلقه، توسط نیروهای امنیتی بازداشت شد. او پس از گذشت پنج روز بدون تفهیم اتهام همچنان در بازداشت به سر می‌برد. «محمود معصومی»، «الهام رسولی باغی»، «شیما بابایی» و «فریدون احمدپور» از جمله فعالین مدنی بودند که در کنار هواداران محمدعلی طاهری با مطالبه آزادی این زندانی عقیدتی با برخورد نیروهای امنیتی مواجه شده و در نهایت بازداشت شده‌اند. «محمود معصومی» متولد ۱۳۷۴ اهل گنبد کاووس، دانشجو و شاغل است، او پس از بازداشت به زندان فشافویه و سپس به زندان اوین منتقل شده است. THEREFORE: We, the undersigned, demand that the international community bring all possible pressure to bear upon the Islamic Republic of Iran to honor its binding human rights by IMMEDIATELY and UNCONDITIONALLY releasing Mahmoud Masoumi from the prison, stopping his ILLEGAL arrest and dropping all equally ILLEGAL possible charges against him. The Immediate & Unconditional Release of Mahmoud Masoumi petition to UN, Ban ki-Moon, OHCHR, Navi Pillay, Ahmed Shaheed, State Department, EU, European Parliament was written by Kaveh Taheri and is in the category Human Rights at GoPetition.